even when you were there, when we were together. more than you did yourself, even after you left. you are the cure, aren't you..
You're there in my heart, right? your head is there on my shoulder..
in my memories, your home is there. Wherever I am, you are there, aren't you? I'm the fire, and you are the wind, right? 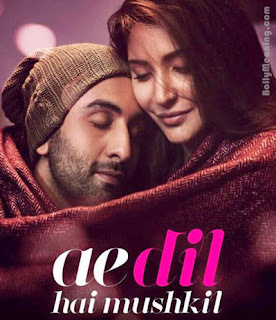 you've been living without me..
For ALL Lyrics Translations of Ae Dil Hai Mushkil, go to bollymeaning.com/search/label/ADHM.